Welcome to Wine Kitz™ in beautiful Moncton, New Brunswick. Please feel free to browse the site and learn about the process of making wonderful wines, the history and mission of our company, and why you cannot beat the service and expertise of our owner, Kolin Murphy, and his friendly staff. Thanks for stopping by. Be sure to check back often, as we update the site regularly with new specials, educational articles and much more. Please see our ABOUT US page for more information about our company, our store, and our guarantee! 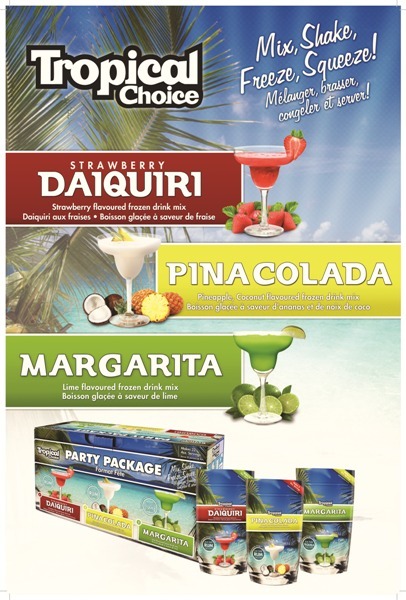 Our exclusive collection of Limited Release wine kits changes regularly. 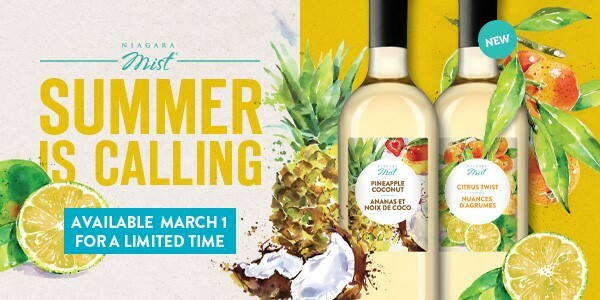 Most are available by pre-order only, so act fast to enjoy these special wines! This is your ticket to a new world of wine. Tour different terroir, explore the exotic, and uncover the unique. Every year Passport SeriesTM takes us to new countries – from highly touted up-and-coming regions to age-old vineyards with long histories of excellence – it is an adventure through some of the most prominent and well respected wine growing regions around the world. From classic varietals to charismatic blends, this limited release wine series celebrates the unique, thrives on exploration, and insists on excellence. Available for just a short time and by reservation only, the exclusive Passport SeriesTM takes you on a new, exhilarating journey every year, making this collection a highly sought-after one of a kind wine experience. Every year an adventure; every bottle an expedition. This is the road less traveled. Where will your Passport take you? THE WINE: This blend of Merlot and Cabernet Franc offers a balanced soft rustic profile. Merlot stands as the fruitforward backbone of the wine, while the aromatic Cabernet Franc rounds out the blend with soft spices and herbal notes. On the nose and palate, this wine offers plum, red and black berries and dark cherry fruit notes, with underlying woody smoke, herbal spice and soft tannins. THE REGION: Known for its Bordeaux style wines, Paso Robles dedicates over half their vines to Bordeaux varieties including Merlot and Cabernet Franc. Spanning over 614,000 acres it is California’s largest AVA. Paso Robles is unique as it holds three key factors to ripening grapes with refreshing acidity; diverse soil found in varying elevations, hot days and cooler nights, and varying rainfall levels combine to create the perfect environment for brilliantly defined wines. THE FOOD: The tannins in this blend open it up to a variety of food pairings. Enjoy with lightly herbed pork loin roast with fresh sage, thyme and rosemary or try a mushroom risotto, rosemary lamb or a variety of meat casseroles and pies. 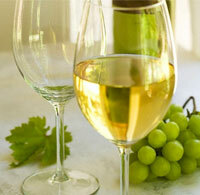 The perfect trio of Chardonnay, Riesling and Pinot Gris, create this off-dry, medium bodied white wine. Fresh aromas of orchard fruit and delicate honey rise from the glass, while the palate sings with lively pineapple, lemon and stone fruit flavours combined with hints of apple, pear and honey. The zesty acidity in this wine balances the slight sweetness perfectly. Just east of San Francisco Bay rests Lodi California. Basking in a Mediterranean climate, Chardonnay grapes grow plump during the warm days and cool nights, maintaining refreshing acidity. Pinot Gris from Oregon’s Willamette Valley are protected from over-ripening by the cool nights while the valley offers mild, warm and sunny days for the grapes. The most northern of the three, Yakima Valley in Washington, is home to the oldest agricultural region in the state. Here, Riesling, one of the state’s most widely planted varieties, benefits from limited rainfall in the growing season creating crisp, fruit forward wines. Pair this blend with lighter meats and fresh vegetables, perhaps linguini and grilled vegetables with shrimp in a light cream sauce. Sushi and lightly spiced Asian dishes and cheeses such as Brie, Camembert, and Gruyère complement this wine beautifully. A marriage of Argentina and Spain brings you a full-bodied wine rich in aromas of dark berries with nuances of licorice and chocolate. Balanced and full with soft tannins, a palate of ripe black and blue berries are complemented with spice of black and white pepper, creating a finish that is long and pleasing. Mendoza, Argentina and Valencia, Spain share similar growing conditions; hot dry summer days that create the perfect environment for full ripening with cooler nights to provide a much needed break from the daytime heat. Both located at higher elevations, Mendoza is a high flat dessert like plain (2000-3600 ft.), and Valencia is a more mountainous region (400 – 3600 ft.). Both regions rely on man controlled irrigation because of the extreme dry climate and threat of drought. Mendoza utilizes the irrigation channels from the Andes Mountains snowmelt and Valencia’s vines are irrigated through drip irrigation systems. This bold blend deserves a bold food pairing. Try a barbeque burger topped with smoky bacon and blue cheese. Other food ideas include beef empanadas, mushroom and bean stews and beef brisket. Super Tuscan, a term made popular in the 1980’s, is used to describe wines made in Chianti that did not follow the strict DOCG rules using varietals non-indigenous to the region. A blend of Sangiovese, Merlot and Cabernet Sauvignon, this full bodied Super Tuscan exhibits aromatic notes of oak, vanilla, leather and spice while the palate punches with bold black cherry and raspberry flavours. Firm but not aggressive tannins and a long lingering finish makes this wine a true show stopper. Tuscany Italy, where foodies and wine lovers bask in the beauty and bounty of the land. The growing season is by definition Mediterranean. Warm sunny days and cool nights benefit the grapes, contributing to the glowing reputation of Tuscany’s wines. While the land has challenged soil conditions, this benefits the region resulting in lower yields and higher quality wines loved by critics worldwide. with crusty Italian bread, or a traditional pasta dish with rich tomato herbed meat sauce. If looking for vegetarian options, vegetable pasta (mushroom and eggplant) drizzled in olive oil is a surprising match, as the olive oil will cut through the rich tannins and compliment the wine nicely. Pineapple Coconut and Citrus Mist are now available, in limited quantities. Lush blueberry, raspberry, and honeyberry flavours are accented by cool watermelon notes to create this chill, light bodied wine. 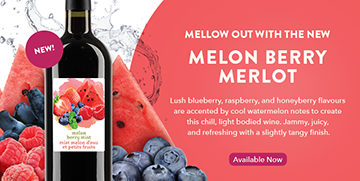 Jammy, juicy, and refreshing with a slightly tangy finish, enjoy Melon Berry Merlot on its own or pair with a charcuterie board. You can make a wide variety of beer at Wine Kitz Moncton! Note: We are pleased to assist local non-profit groups in promoting their fund raising activities by providing a place for events to be listed on our web site. See our new page for Community Events. If you have an event you want to promote please forward a pdf to winekitzm@nb.aibn.com and we will add it to the page if appropriate. CLICK HERE to receive our informative e-newsletter. We'll let you know about promos and new products, industry news, and more!